About Us — Millie Lewis of Charleston Model & Talent Agency Millie Lewis Model Agency iin Summerville, SCi s a full service model and talent agency representing male and females of all ages and abilities. We offer representation for trained and experienced models seeking work in the Southeast. Advanced and professional modeling programs are available for those completing our personal development programs. We received the Lifetime Achievement award for integrity and placement, one of our industries highest honors. Since 1979 the name Millie Lewis has been associated with the fine art of educating and promoting modeling and fashion in the southeastern United States. Millie Lewis, a Hall of Fame former cover/supermodel, founded this company that has provided integrity, knowledge, and expertise in the multifaceted field of commercial modeling, fashion modeling, and acting to individuals who strive for success. Millie Lewis's Mission continues to promote excellence and integrity in the modeling and talent industries. We hold a great responsibility: the hopes, the dreams, and the potential of each person. We pledge to use our knowledge and connections to teach them, to promote them when advisable, and to protect them always. Suzanne Manseau Green, Owner and Director of Millie Lewis and a member of the original graduating class of 1979. She is also a 1979 graduate of the College of Charleston with a BS/BA degree. She started as a P.E. major, an athlete all through high school, and after switching to a business degree, Suzanne thought she could further her career by taking courses at Millie Lewis. After she became interested and experienced in the world of modeling, Millie Lewis and her daughter Carey offered Suzanne the opportunity of a lifetime. As a result, Suzanne became owner of the Millie Lewis School and Agency of Charleston in 1989. Suzanne and her staff have won "Agency of the Year", 1996-2003 and received the 2003 Lifetime Achievement Award. They are members of the American Model Association, of which Suzanne is a past president. Suzanne has served on the YWCA board for 6 years and the committee for Elimination of Racism. She has served on the Trident Tech Advisory Board for Cosmetology and currently serves on the American Business Women's Association (ABWA) board. She also is past VP of the College of Charleston Alumni Board. Suzanne’s responsibility, as mother agent, is to provide a protected environment where talent can meet with selected industry leaders and help them make an informed decision about their future, with her guidance and understanding of their family. She also provides them with optimum exposure to the most reputable regional, national, and international agents. Their best chance of success lies in their own motivation built on the foundation of family support. Louise Teems, Booking Agent, has been with Millie Lewis Models and Talent since the early eighties. She has worked in all phases of the business from Office Manager to School Director. She is also a graduate of Millie Lewis and has attended AMTC as a contestant. She has been the booking agent for over twenty years. She has dealt with major clients and casting directors over the years, and has booked models and talent of all ages. Louise’s commitment, dedication, class, and southern charm attract many new clients as well as old ones in returning to Charleston and Millie Lewis. Rachel Streit Peyser, Modeling/Etiquette Instructor for Millie Lewis, was born and raised in Charleston, South Carolina. She graduated from the University of Florida with a Bachelor of Arts in Sociology. Rachel started as a Model for Millie Lewis in 1997. Her biggest accomplishment to date has been the South Carolina Winner of the Foster Grant National Model Search. Rachel has been a Modeling/Etiquette Instructor for Millie Lewis since 2001. She states, "It is a wonderful feeling to instill confidence in the students as you see them progress through the classes." She is also a Pageant Trainer for Millie Lewis. After being selected as a contestant in the Miss University of Georgia Pageant Rachel felt she would have benefitted from pageant lessons if they had been offered at the time. In addition, Rachel offers etiquette presentations to local businesses. These presentations are designed to enhance business manners in the highly competitive work place. She also offers private etiquette lessons to all individuals who would like to refine their etiquette skills. Margie Sutton, Advanced Professional Class Instructor, at age 19 was introduced to the world of beauty and modeling through Millie Lewis of Charleston. Margie’s first modeling job was an article and print ad written for the Post and Courier of Charleston. Many opportunities opened up throughout the next several years for Margie as she began to model for runway fashion shows, print advertising and commercials. Margie was hired by the Northwoods and Citadel Malls as the trend board coordinator. This job included auditioning and training teams of models for fashion and television shows. During this time she also coached models and beauty pageant contestants on hair, makeup, and stage presence. After attending cosmetology school, Margie took a job with Stella Nova and has worked with the company for 17 years. She manages and is a stylist at the Summerville Stella Nova. She has worked on many photo shoots for company advertising and was the lead stylist for Charleston Fashion Week for 3 years. As present, Margie is the style editor for the Azalea Magazine of Summerville and teaches the Advanced Professional Class at Millie Lewis of Charleston. Debbie has been part of Millie Lewis since 2006. She was a print work model in the late 1970's and early 80's. 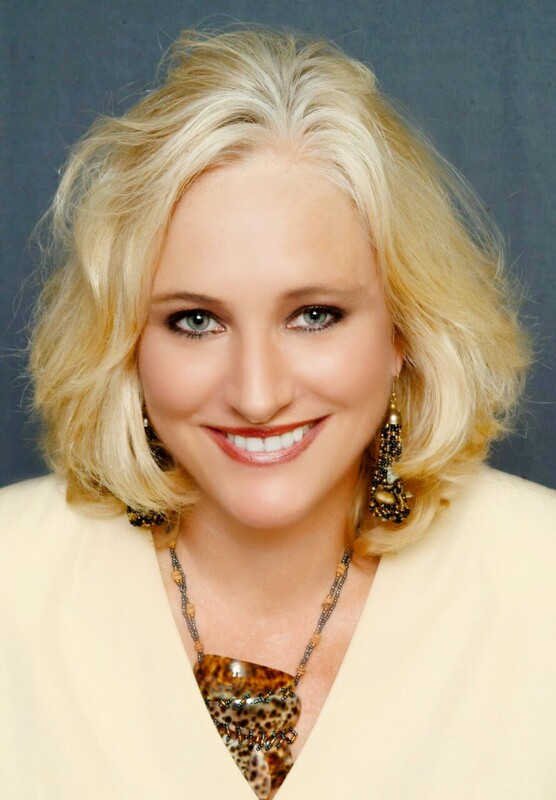 Debbie works as a scout for Millie Lewis as well as an interview coach, and she teaches private pageant training. Debbie worked as a pageant coach as well as an interview instructor for over 25 years. She looks forward to the opportunity to meet and make a difference in the lives of young models. She has received numerous praises for her expertise in helping prepare contestants for the convention, and has played a major part in the success in their careers. Debbie is a native of South Carolina and resides in Summerville with her husband. They have two lovely daughters, Kenna and Keyla. Both girls are models and have been in commercials and print work. Her younger daughter, Keyla, was Miss South Carolina Teen USA 2011. Fashion photographers, Bob Kay and Billy Graham, have been shooting beautiful and interesting people for over fifty years, collectively. They have worked with the Millie Lewis Competitions since it's inception in 1982. Bob & Billy have thrilled and delighted AMTC contestants and parents with thousands of outstanding action shots of stage competition. Bob and Billy have been with Millie Lewis since the original school and agency opened. They are dedicated and professional and continue to shoot for our school classes and top models, actors and beauty queens. David Frederick is a classically trained actor who works in areas such as COMMERCIALS, FILMS (Professional & Independent), THEATRE (Professional & Touring), TELEVISION, VOICE OVERS, RADIO, CORPORATE & MODELING. A makeup artist and stylist is someone who uses cosmetic techniques and processes to create beauty using the human form as a canvas. In its simplest form, it enhances a person's appearance, bringing out color and features and hiding or smoothing out flaws, using cosmetic products. At its most extreme, makeup artistry creates imaginative characters and special effects for films, television, photography and theater.